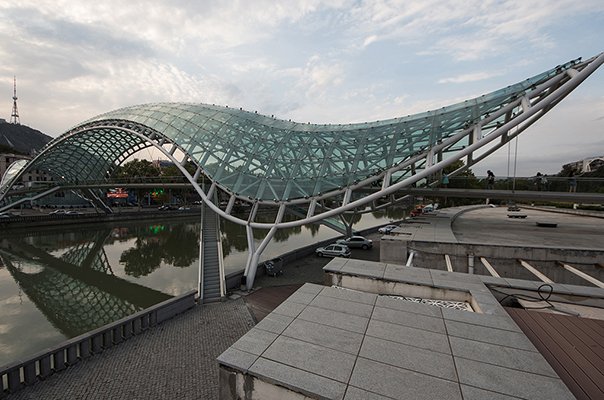 Tbilisi, capital of Georgia from the 5th century AD, has a long and fascinating history. Founded in the 4th century by King Vakhtang Gorgasali on the site of its warm mineral-water springs – it developed into the main city of the Caucasus. By the 12th century Tbilisi was one of the most important political, economic and cultural centers of the Caucasus. It stood as a key stop on the famous Silk Road – on the border between Europe and Asia. 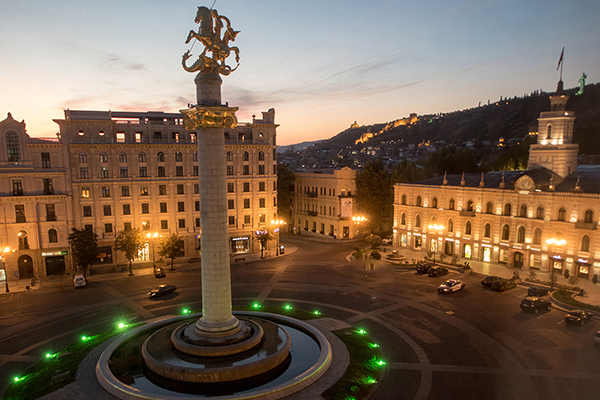 Tbilisi’s Old Town, the most ancient part of the city, is renowned for its wonderful mix of cultures. 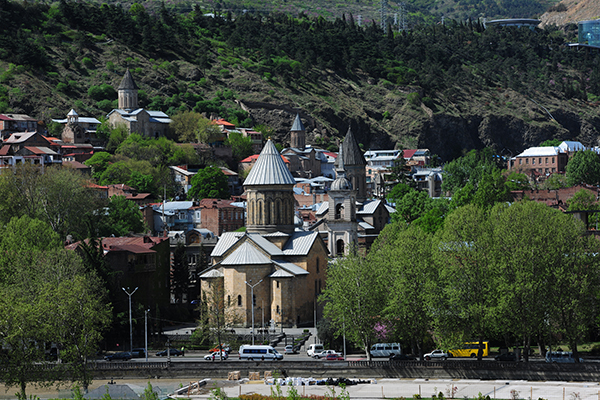 The mosque, the synagogue, the Armenian and Roman Catholic churches blend harmoniously with the splendid Georgian churches and architecture. The wooden houses with open, carved balconies welcome the visitor. The sulphur baths have hosted poets, writers, musicians and kings down through the centuries. 2. Narikala Fortress – impressive ruins located above the Old Town a landmark of the city and excel- lent for views of the swirling river Mtkvari (Kura) and the Old Town. 3. Sulphur baths (Abanotubani) – according to legend responsible for giving the name to the city and for the king Vakhtang Gorgasali’s (5th c.) decision to move the capital from Mtskheta. Today there is nowhere better to relax. 4. Funicular, Mtatsminda (Holy Mount or Father David’s Mount) Pantheon & Park – railway built in 1903 with two stations – the lower stopping at St. David’s church and the Pantheon of Writers and Public Figures and the upper station takes you to the Panoramic Park which provides spectacular views of the city. 5. Museum of Georgia – covers the entire history of Georgia: currently houses a unique collection of natural and human history, with animal remains dating back 40 million years, and rich in archaeological and ethnographic collections from the Palaeolithic, Neolithic, Bronze, Iron and middle Ages. 6. Museum of Fine Arts – former Theological Seminary once known as Stalin’s alma mater later trans- formed into the Arts Museum contains collections of old Georgian wall paintings and masterpieces of Georgian, Russian, European and Eastern countries. Georgian icons, enamel, jewelry, textiles, and unique works of embroidery are presented in the treasury and attract many visitors. 7. Open Air Museum of Ethnography – covers 52 hectares and encompasses 14 ethnographic zones, displaying around 70 buildings and more than 8,000 items: examples of folk architecture and craftwork from various regions of the country. 8. Rustaveli Avenue. – The main, 1 500 meter-long artery of the city decked out with elegant Renaissance and neoclassical buildings. Here you find the city’s most important theatres and the Opera House. 9. Sameba (Holy Trinity) Cathedral – Recently built magnificently dominating Cathedral of Georgian Orthodox Church. 10. Botanical Gardens – established in 1845, on the site of 17th century Royal Gardens occupy over 128 hectares and hold more than 4 900 species of mainly Caucasian flora.